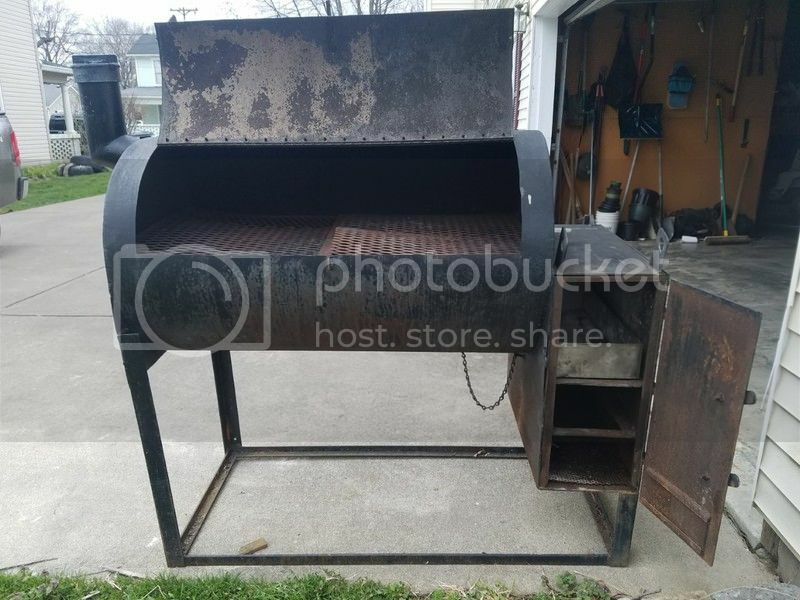 I was given this large offset smoker. Been using a cheap charbroiled offset for years but it had the typical round firebox...easy enough. With its rectangular box, 24"x24"x10.5". I'm just not sure of the setup to burn. Obviously, the top tray is a water tray and seems to completely (or almost) block the flow from under. Looks like rails under that for another...something. Then the grate on the bottom of the box, I'm assuming for the fire. Even a vent cap that screws up and down to adjust air flow. Any help and advise of this beast would be greatly apriciated. Not sure if it was originally bought or made but was free to me. It's very sturdy and very heavy and compared to my old rusty charbroiled, huge. As soon as I can figure out how to post pics, I will. 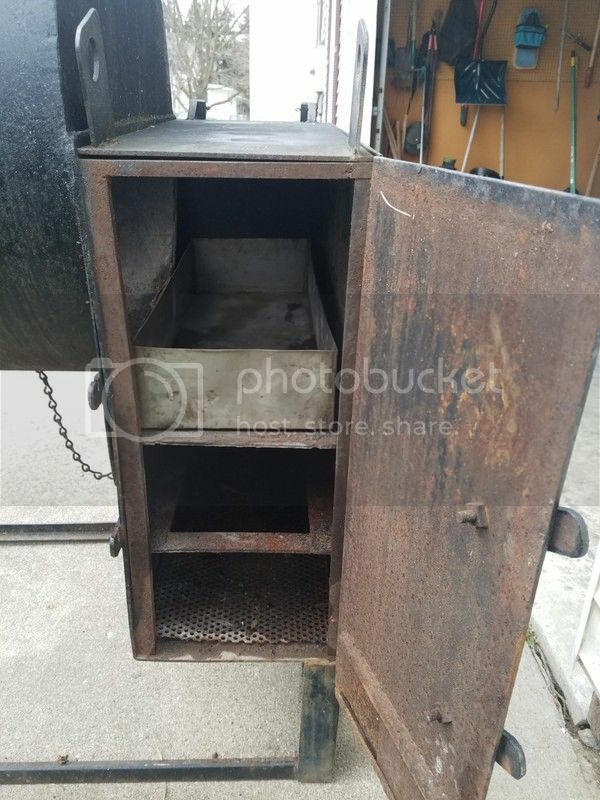 I would guess that the pan is an ash pan and the screen grate actually sits on the first shelf that is cut open and the pan sits at the bottom to catch ash. Never thought about that...makes perfect sense. This is the way it came to me. Then, I would assume, place a water pan just inside the cook chamber to help diffuse the heat as well as add moisture. I'm going to do a dry run as soon as I get it cleaned up from rust and painted. Update. Tried to put the pan in the bottom of the fire box for an ash catch as suggested but it doesn't fit on the bottom or middle shelf. Can see some blackened areas on the pan from previous burns. I have to assume the pan was made for the top shelf. Question still remains... will it block a lot of heat? Smoke will surely find its way around it. Would love to hear from someone who has seen this type of setup before. I'm a bit confused. This weekend I'm going to do a test burn and monitor temps and smoke. If I were you, I would take everything out of the firebox (except maybe the bottom grate that holds your splits)...and start a fire. If it runs good as-is, then forget all the other crap that's in there.